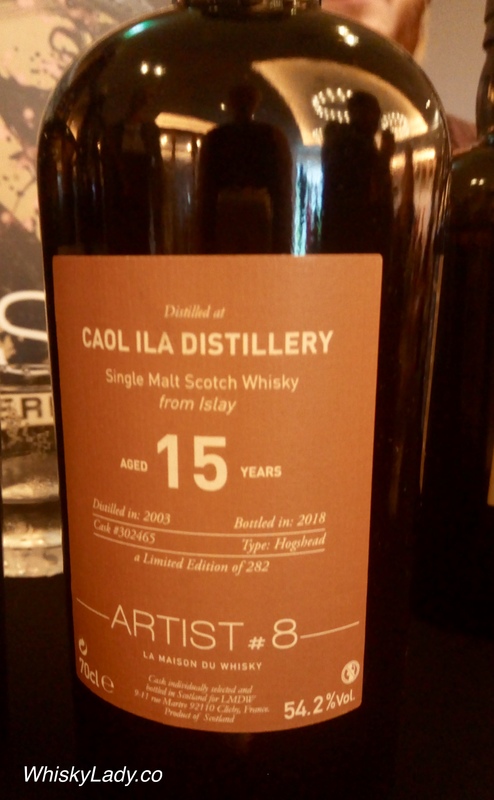 We shifted fully into peat mode with Caol Ila… part of the new La Maison du Whisky Artist # 8 series. The smoke remained… so pungent that I needed to change glasses before continuing with the rest of the series! As for what it would set you back? SGD 388. And what do the folks at La Maison du Whisky have to say? 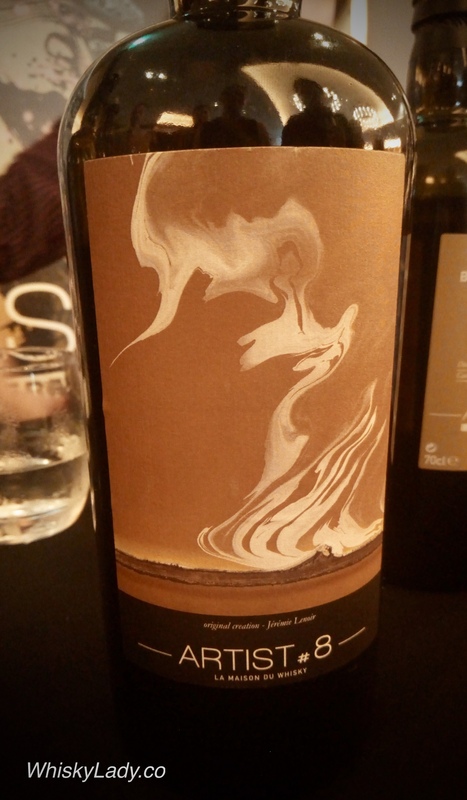 No detailed tasting notes…. just a few thoughts. Particularly suggestive, this absolutely beautiful version transports us in the proper sense of the word. Continuously traversed by swirls of smoke and a sea wind of exquisite sweetness, the aromatic palette is a succession of hectic sequences and moments imbued with tranquility and serenity. This entry was posted in Cask Strength, Islay, Scotland and tagged Caol Ila, La Maison du Whisky by Carissa Hickling. Bookmark the permalink.